If however you want to read more, there is a bit more. My words and photos are online in my UTA 2018 gallery. A good day out testing some theories. Though it did not really hit me in the lead up or during the event until half way that it was yet another 100km and these are indeed somewhat tough to get through. The day out in the bush with my friends Alex, David and Julie was awesome. 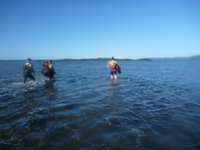 As I say in the short report with the photos linked below, Oxfam is a great charity and that they have these trailwalker events in many places around the world to fundraise and get people to enjoy some quality outdoor time is pretty awesome. 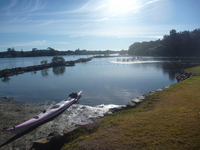 This is a hard course, that it took us 14h30m to get through it shows that but it sure is pretty, amazing native flowers, views (water ways and bush) and that it can get in to Manly with hardly realising you are in the middle of the biggest city in Australia is awesome. My words and photos are online in my Oxfam Trailalker - Sydney 2016 - ARnuts gallery. What a fun day out!. This run that is so easy to get out for at lunch is a great quality climbing session and shows off canberra beautifully. What fun. Photos and some words are online on my Lots of vert lunch run page. I have fun at Goequest and love doing the event however have been a bit iffy about trying to organise a team for a few years. As many say one of the hardest things in the event is getting 4 people to the start line ready to go. This year my attitude was similar to last, if I was asked to join a team I would probably say yes. I was asked and thus ended up racing with a bunch of fun guys under the banner of Michael's company Resultz Racing. 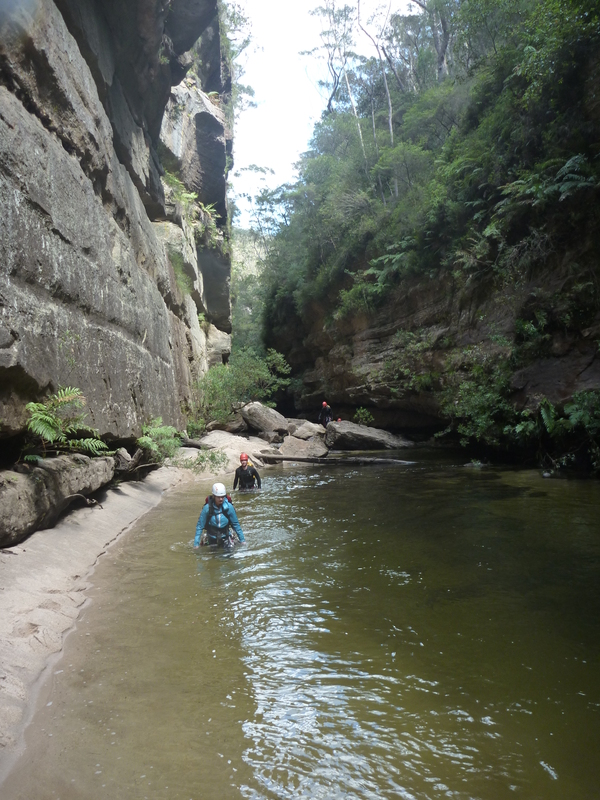 Another great weekend on the mid north NSW coast with some amazing scenery (the two rogaines were highlights, especially the punchbowl waterfall on the second one). My words and photos are online in my Geoquest 2016 gallery. Always good fun and a nice escape from winter. Alex and I signed up for the Razorback Ultra because it is in an amazing part of the country and sounded like a fun event to go do. I was heading into it a week after Six Foot, however this is all just training for UTA100 so why not. All I can say is every trail runner should do this event, it is amazing. The atmosphere at the race is laid back and it is all about heading up into the mountains and enjoying yourself. I will be back for sure. My words and photos are online in my Razorback Ultra 2016 gallery. This is truly one of the best runs in Australia. I am still fascinated by seeing how I can improve in this event, after running in pairs twice and now solo twice I signed up to come back this year still seeing how much time I can lop off my lap of the course. Though I continually claim I am not a runner with my mountain biking and adventure racing background I have been getting out on foot a lot since I got into doing this event. With an arbitrary number I apply to the time around this course before I may admit I am a runner of 12 hours I was coming back to see how close to this goal I would get. My first year solo in 2014 I was positive I would finish just now sure how fast, thinking on the day I may take around 15 hours I managed 13:44 which at the time had me happy and a little surprised. In 2015 I had a few things interrupt my lead up and not everything felt great so though I hoped to go under 13 hours I was not sure, managing 13:15 was not what I wanted but I got around the loop again anyway. In 2016 I continued to not have a training program and simply work toward goals by judging effort in my head and race schedule leading up to the event. However most running science seems to suggest the more you can run without getting injured the better. So on January 1st 2016 I kicked off a running streak to see how long it would last. I managed to run every day in 2016 until Wednesday before UTA100, so 132 days in a row with a minimum distance of 5km. 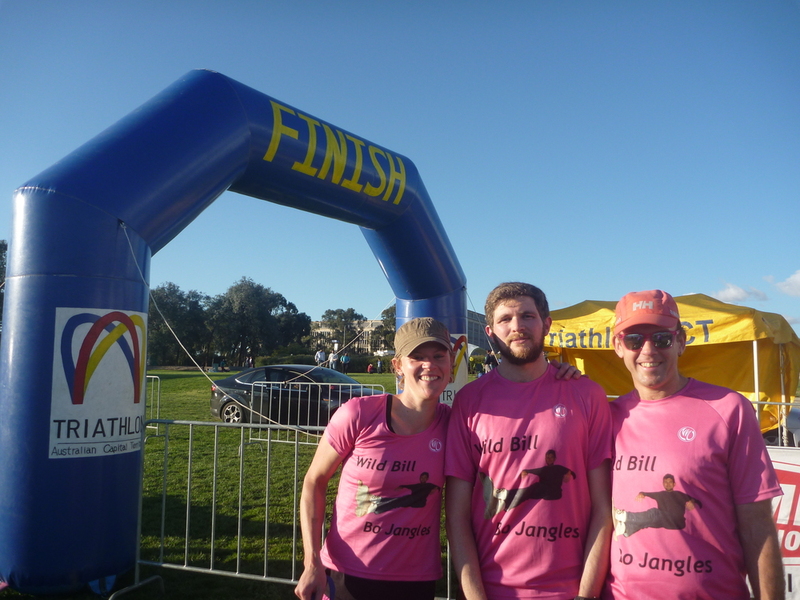 This included the days before and after efforts such as the razorback ultra in Victoria and the Six Foot Track marathon in the Blue Mountains. I never really managed to get much speed work into my prep again this year however had definitely upped my volume doing between 70 and 125km every week of the year with most of it on trails with some good altitude gain at times. I also remained un injured and able to run every day which was great, even with the odd fall or problem I could work around and keep moving through I was feeling good before the event. Due to my tendency to waste time at the check points on course I also had my sister here to support me this year so I would be able to run into CP 3, 4 and 5. Grab new bottles, have food shoved at me and head on out. All was looking fairly good and I was sure I could go under 13 hours this year the question remained how far under I could get. Then Wednesday night before the race I got home feeling awful and shivering and needed to crawl into bed early and get sleep, waking up Thursday I felt worse if possible and was worried it was all over I had gotten sick and nothing would help. I left work at 2pm that day and headed home to sleep the rest of the day. Fortunately by the time I woke on Friday morning I no longer felt so awful, and actually felt I may be able to run the next day. I had stopped my running streak on Wednesday, no real need to continue it and feeling so bad for two days definitely had to stop. I arrived Friday afternoon, spent money with Graham and Hanny in their store for some stuff I needed from Find Your Feet and headed to the briefing. The welcome to country form David King was once again a highlight of the runners briefing it is a fantastic part of the race every year and really heart felt, genuine and funny. Met my sister Jane at our accommodation and discussed the race day and estimated times while eating dinner. Fortunately I finally felt ready to run again by the time I went to sleep Friday night. I had a few runs the week before with what I call Happy Legs where you feel awesome running and light and happy on your feet. Though I hoped for that on Saturday I knew I just had to get out on the track and keep moving well. I was in wave 1 and starting at 6:20am, had a chat with my mate Tom Reeve on the start line and then we got moving, taking it easy on the 5km bitumen loop I had a chat with Phil Whitten who was worried after stomach issues in six foot caused him problems he may have issues today too (in the end he did alas), still it was nice to be moving and cruising along the out and back before the steps. In wave 1 it was nice and open and even the descent down Furber steps was pretty open. Ran through toward the golden stairs feeling OK, never awesome but not like it was going to be a horrible day out. I got onto the fire road out Narrow Neck and realised I was probably a few beats higher than I probably should be HR wise however decided to stay with it and ensure I not push too hard on the hills climbs along here. With the start out and back slightly extended this year it was good to pass through CP1 in the same time as last year so on course for slightly faster, however I would not have a proper idea of time ad how I was going until Dunphys camp. On the climb from Cedar gap I noticed some people around me seemed to be pushing harder than I thought they should however that had nothing to do with me so I kept moving and hoping I survived. On the descent down to the camp I had my left adductor cramp a bit which seems to happen here every year so I have to manage it and keep going. At Dunphys CP I had a chat to Myf happy to actually see her or Matt this year (I missed seeing them here last year) and got moving aware I would need to take it easy on iron pot to keep the cramps at bay. I got onto Iron Pot and loved being able to say thanks to David King and his colleagues welcoming us to country with Didgeridoo and clap sticks up there, the short out and back made it easier this year and then I took it really easy on the loose ski slope sort of descent down due to cramps being close to the surface. Continued taking it easy chatting with other runners as we went back past the outgoing track on our right and then we dropped down to the bottom of the valley to start heading up Megalong Rd. Trying to eat the solid food was difficult and slowing me down so I gave up by the time I hit the single track just before the stairs. I had a chat with a blonde woman (it may have been Daniela Burton) and it was her first 100 so I told her not to get discouraged how long the next leg (CP4 to CP5) takes and to keep focusing on moving forward. I also had a chat with Ben Grimshaw a few times on the way up Nellies as I was passed by him while trying to eat solid food and then caught him again on the stairs once I started pushing up there reasonably fast once more. 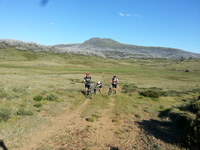 We cruised through the single track at the top passing a few runners and got into CP4 pretty much together. I had to refill my water bladder here as well as get two new bottles, still with Jane's help I got out of here fast and left by 6 hours 30 minutes on the race clock. Though behind Ben now as he was quicker in the CP. Now I was happy to hit my race goal of feeling pretty good at Katoomba and still being keen to run which is always the way I think you need to feel at this point as the next leg is the the crux of the race, the half marathon of stairs is really a tough mental and physical barrier to get through. I headed along to echo point through some crowds on the walk way near the cliff edge and it was nice to have some of the tourists cheering us on, a few other runners were near by and we got through nicely. On the descent down the giant stair case I seemed to pass a few people pretty comfortably and then on to Dardanelle's pass and it was nice running through there for a while. Of course getting down to Leura forest we got to see some 50km runners coming the other way (a few asked me where I was going worried they had made a wrong turn, when I said I was a 100km runner they realised all was cool told me well done and kept going). I caught Ben again on the way up the stairs from Leura forest and we were near each other a bit for a while then however I seemed to pull ahead on stairs a bit so over the next while I got away from him (he caught me later in the race anyway though). Last year I had a diabetic low blood sugar incident in this leg, somewhere just before the wentworth falls lookout carpark I think. So I was paying more attention through the day on constant calorie intake with lots of clif shot blocks and gu gels. I kept moving well enough through this whole leg so that turned out well. I Said hi to Graham (Hammond) who was cheering runners on at the Fairmont resort water station and ran on for a few more stairs. Running in to CP 5 on king tableland road I still felt alright and managed to eat another three cubes of shot block there. I had run out of plain water (bladder) again so had not had a salt tablet for a little while. This year I had decided to run with more salt consumption and had bought hammer enduralyte salt tablets, I was downing 1 or 2 of them every time I ate all day which I think may have helped, though I still had cramps around Dunphys that happens every year and I knew I had run a bit hard early anyway (hoping to hit splits needed for sub 12). However even though it was a hot day and many people struggled more in the heat than other years I seemed to deal with it well. However I had discovered I struggled to down the tablets with electrolyte drink from my bottles (high 5 tablets, usually berry flavour) so I needed plain water from the camelback for them. I got more food from Jane at CP5, re lubed myself a bit refilled the bladder and got moving. I also grabbed a second head torch, though I was carrying one already I liked the beam pattern more on the one I grabbed here, though with full water, bottles and the extra torch I felt pretty heavy running out of CP 5. Still just 3 hours to go now I expected. I got out of there at 9h25m on the race clock which was good, thus if I could have a good run through here I may be able to get in under 12h20m (2h50m run would be nice for this leg at this point). I got moving on the approach to the kedumba descent joking with a few others around me it was time to smash the quads and say good bye to them as they were no longer needed after this really. (only one short sort of descent to Leura creek) I was asked if we needed quads on the stairs, my response was they were a glute fest and allowed use of arms due to the railing so who needs quads after Kedumba. However as I got on to the descent and passed under the overhang I noticed my legs were a bit off and I could not open up well, I thought about it and realised I was probably low on sugar and needed to eat, eating at this sort of downhill pace was a bit hard (especially as some food was making me feel like throwing up (gels)). I thought I would try to hang on until the bottom as I could walk up out of Jamisons creek eating. 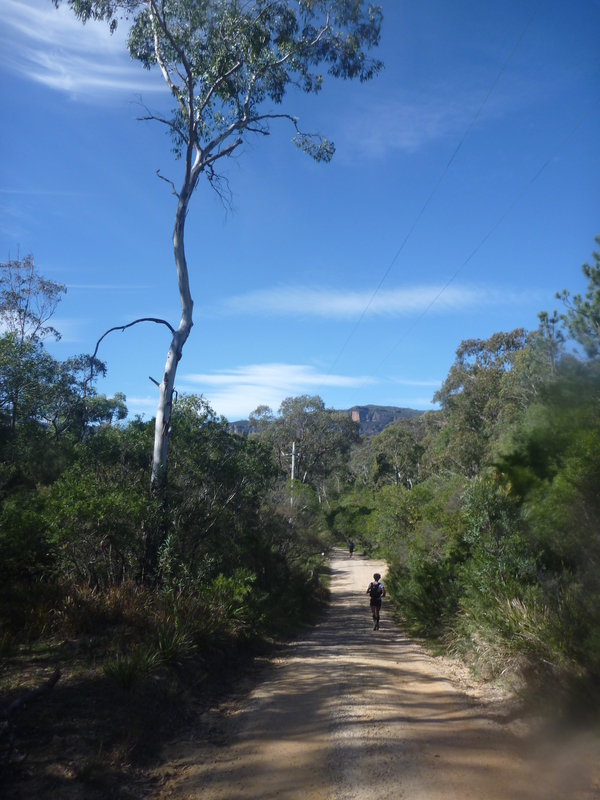 However I needed to slow to a walk just after passing the Mt Solitary turn off and down a gel. Then a few minutes later trying to run still did not work so I had to stop and walk and eat for a while again rather than descending at full speed. Doing all of that I was passed by a few people (I think the woman who came 5th, the guy I joked about not needing Quads with and a few others). Oh well I should have eaten more while stopped at the CP or on the flat at the top, oops, lost time (in the results comparing with people I ran similar splits all day to I may have lost as much as 15 minutes here with this issue). Once I got onto the climb out of Jamisons creek I ate some more and focused on holding a reasonably strong hike, the people who passed me were long gone and I could not motivate myself to push hard to see if I would catch them or not. I was passing a number of 50km runners by this point (I think the sweep must have been at CP5 when I went through). 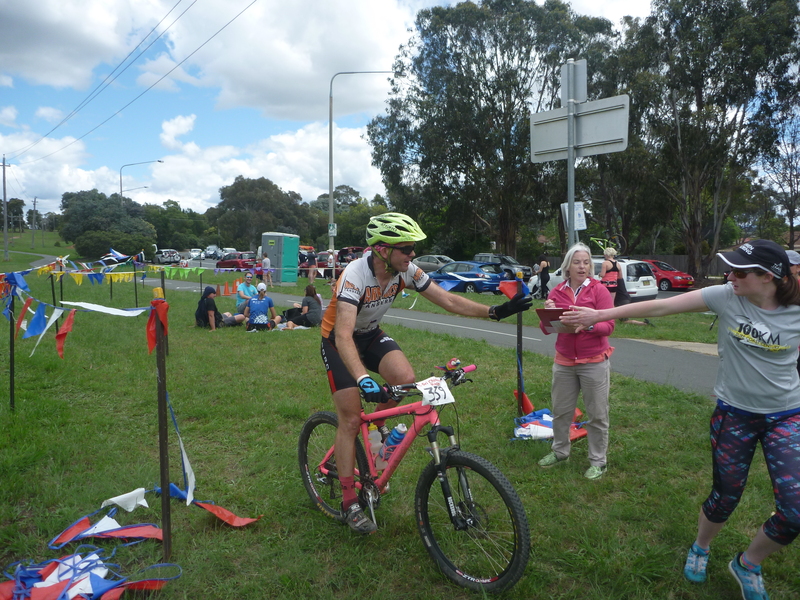 They were fun to cheer on and chat with as I caught and passed them, getting down to Leura creek was good as it was still day light and I could get moving up there to the last aid and onto the finish before I thought about lights. Ben caught me a gain here saying he had really pushed hard on the kedumba descent and he was looking good so sat a little ahead of me up to the aid station. I refilled my bottles and kept going chatting with 50 km runners as I passed them. I got to the poo farm a bit quicker than I expected (going on feeling as I was not looking at my watch much) however it was good to finally be up on Federal pass not long after that and this is where I decided to focus on moving fast. The last two years I crawled along here and I think I lost a lot of time, I know last year I had mentally given up so was crawling, the year before I think I was just a bit stuffed by then. This time I focused on running whenever it was not a steep up and on getting over to the stairs as quickly as possible. It was still fun cheering on the 50km runners and chatting with them as I passed, I even saw some women in awesome pink outfits I had seen here a few weeks earlier while training so it was good to cheer them on, when I asked them about it they said it was them and they recognised me (it's pinky they exclaimed) as I passed. I got to the base of the stairs at 12:14 so knew I had to work hard to finish in under 12:30 but it was time to get that done if possible. On the climb up the stairs it felt like I was getting stuck behind 50km runners on many of the narrow sections of stairs however it probably was not much time slowing up the pace (one occasion a race doctor was walking up the stairs with a runner just to help them get to the finish). I managed to get across the finish line in 12:29:51 (57th overall) which was a good result all things considered. Thanks go to Jane for coming up from Sydney and supporting me all day, Tom, Al and AROC for keeping the fun happening for all the runners, Dave and co for some excellent course markings, all the other AROC people and volunteers. David, Julie, Alex and others for company on lots of the training the last few months. I have a few ideas for what I need to work on next to faster on this course, however am thinking I may have a year off UTA100 to go do something else. 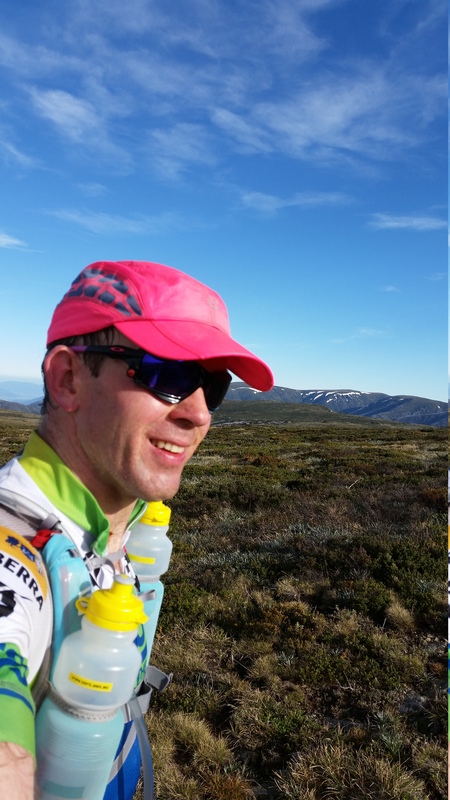 The Hubert race in South Australia at the start of may looks like it could be awesome (running in the wilpena pound area through the Flinders ranges) and it will probably be good to develop my base and speed a bit more over time before my next attempt to see if I can become a runner (crack 12 hours on this course). 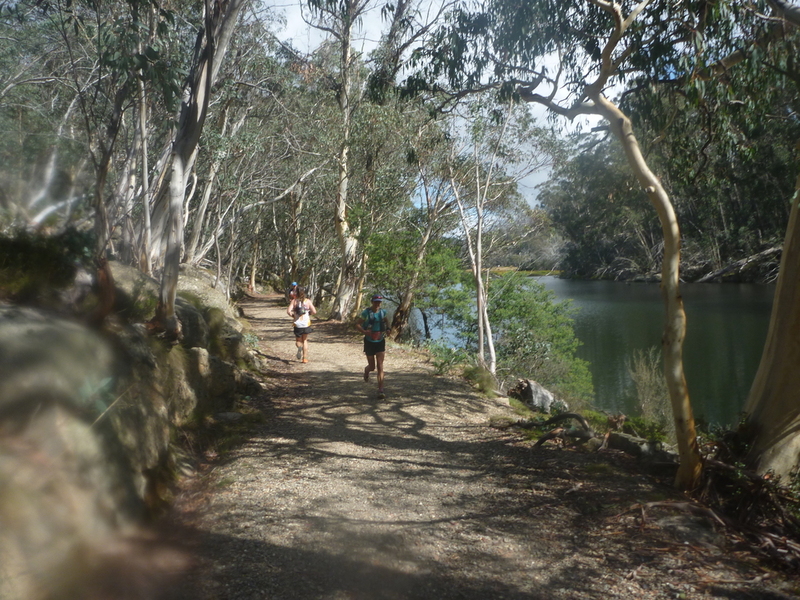 UTA100 really is the pinnacle of trail running in Australia with the level of competition, course fun quality, vibe on ocurse and the welcome to country, the event history and everything else so I hightly recommend it to anyone keen to challenge themselves. 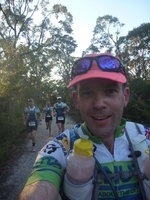 Even if so far this year the event that has really grabbed my attention the most is probably the Razorback Ultra, it is a very different day out to UTA100 so it is all good fun to get outdoors and enjoy the Australian wilderness. 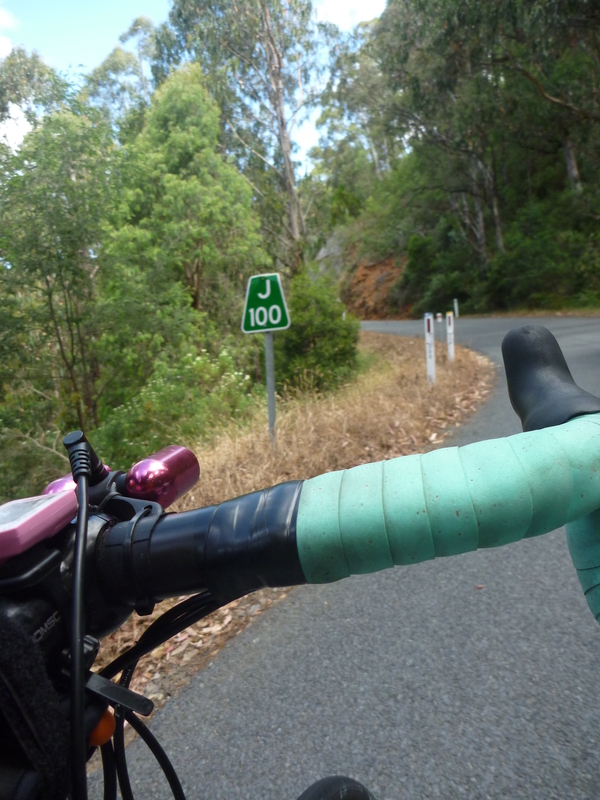 Though I had headed out solo to ride Basso Binda on the first Sunday I was there this ride I got to do with some company until the last climb and get shown one of the classic loops in the region. My first views of Lago Maggiore and then back through Brinzio, then when we got back to Varese I decided to solo climb up to the summit past the Campo di Fiore and into the snow that was still around from the falls on the weekend. A rather pretty area for sure. 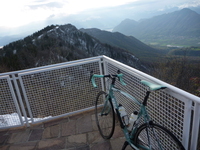 Images in my gallery from the ride ETC, Varese, Brinzio, Lago Maggiore, Brinzio, Summit Fiore ride. As I mention in the words I ended up in pairs this year again, racing with Milly after our swimmer for the event injured himself. Our goal was to have a fun day out in Canberra looking forward to the finish line and beers there. 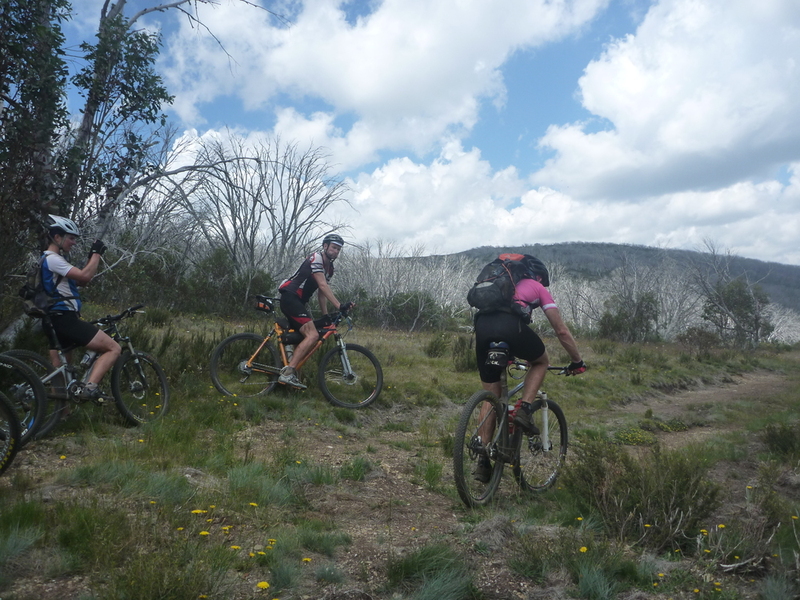 I think we managed that and enjoyed hanging out with all the others transcending the hills and lakes of Canberra. Great to see Rowan have so much fun on course again, also Cam had an amazing day out with 12h15m solo and finishing third. Ben Crabb got to race again with his normal team before disappearing to the UK for three years. So many others were having fun and so were Milly and I (though the early shot of her before the swim start she does not appear so sure), looking through the event gallery on the Sri Chinmoy events site there are some good photos of everyone around too. My words and photos are online in my Triple Triathlon 2015 - Wheres Our Swimmer - Mixed Pairs gallery. Good day out bring on 2016. When I looked at this album I realised I still have not published or added comments to my 2011 geoquest album. I guess that will be next. For now this was 2012 with Seb, Lee and Eliza up at Forster again. Before Eliza was quite so hooked on MTB near the end of her doing Triathlon we were trying to convince her long silly AR stuff is the best thing ever, I hope we did not scar her too much with the longest event she had ever done. KV, Ben and Matt were our rather awesome support crew engaging in a bit of speed camping around the region and seeing us come past once in a while, thanks to them for the effort. 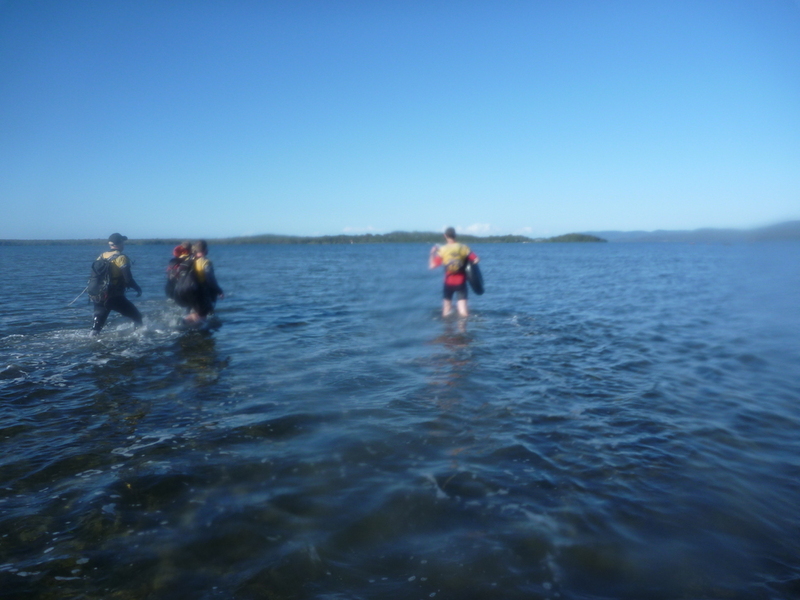 It was a remarkably hard (well long at least) course this year and though there was no ocean paddling there was a bit of time in the kayaks. The event was a lot of fun as always, though I still need to sort out some of my insulin type and timing issues (as I was reminded this year when I had some lows). My 2012 Geoquest - Out of Range gallery is online for anyone to have a look, I almost was worried I managed to get a photo of Eliza not smiling, however it appears not to have happened so all is right with the world. 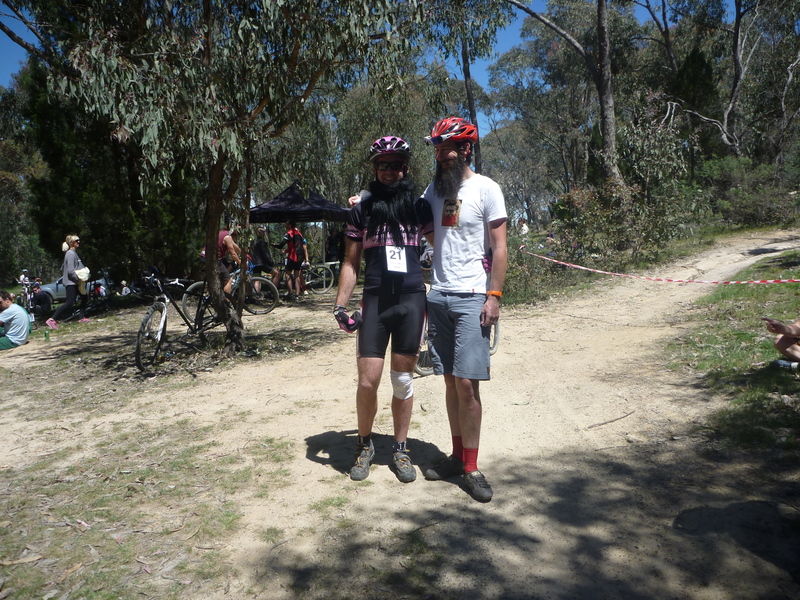 Wow right now I am finding it surprising I have not been to the single speed nationals since 2012, (un) organised every year by a group of locals somewhere, sort of overseen by Australian Recreational Singlespeed Enthusiasts (ARSE). The 2010 Canberra SSNATS event in Majura Pines was heaps of fun, organised by Canberra One Gear Society (COGS). In 2013 the event was in Cairns and though it sounded fun I decided it was just a bit too far to head up there for the event, in 2014 I tried and tried to talk friends into heading up for the weekend in Dungog NSW, however few of my Canberra friends were keen and I did something else that weekend (softie that I am). I am still hoping the road trip to Wombat State Forest in Victoria will go ahead for the 2015 event. There was a ANZAC event in Rotortua over easter however I skipped that. This however is all getting off the topic of 2012. I made it down to 2012, camping with McCook and having a fantastic weekend of mtb riding with the crew in Beechworth. The rather important aspect of beer was sorted that weekend and Bridge Road Brewerers in that town and they are possibly my favourite brewer in Australia. The Beechworth mtb park is a great mix of interesting technical stuff and fun all in native bush, there were other ride options as can be seen in my gallery also. 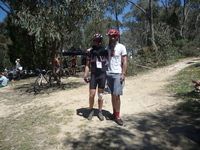 Photos and words from the 2012 Australian Single Speed Nationals are online in the link. Like the other Round the K galleries, another great day out on road bikes, this was the first time I had made it all the way around the loop too. 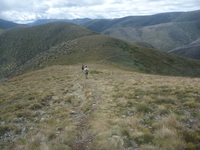 The photo I am using to the left here is a great example of the open alpine regions neat Kiandra, those who have only done the Jindabyne - Cabramurra section have missed out on this bit of riding. Gallery from the day is online Around The K 2012 gallery and as I said in the last few links to Round the K, bring on the next one in a few weeks. I am as this appears out competing in Triple Tri in pairs though so wrote the post ahead of time and am letting it appear during the day, unlikely that it matters as I doubt I have many readers. And I have just noticed as I went to do an entry for Monday 2015-11-16 that I had in fact already posted the link and a photo for the post today. Oh well laziness is an artform so it is staying here. Oops I realised I forgot to link to this one in my reverse posting of all these adventures, this was a weekend Jane and I headed up to the Blue Mountains for some running and to scout out the Six Foot course (made Jane more comfortable on the course (and as she finished 2nd in the race it probably helped)) and for me we were able to do the climb up Furber Steps (and a nice run along Federal pass including the giant stair case descent). 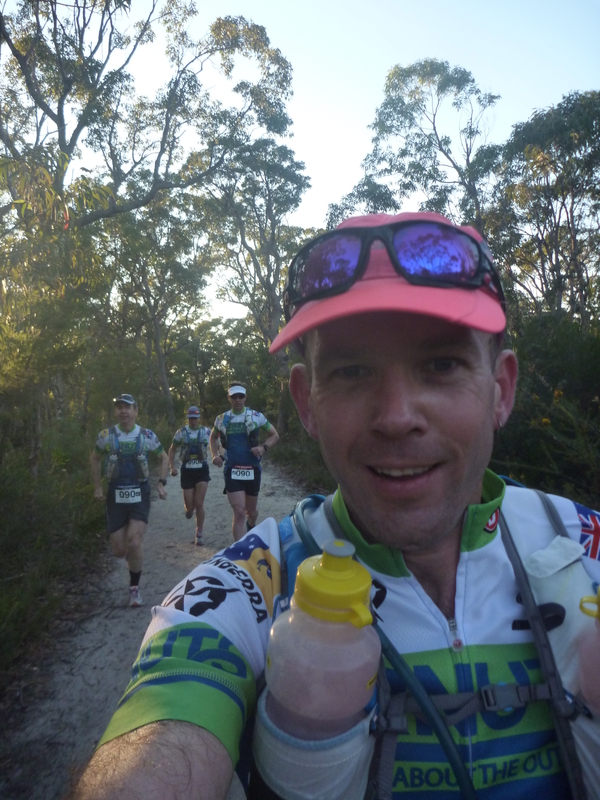 Though I did get to climb the steps in the Mt Solitary Ultra I had not at that time planned to do that race so I was happy to see them for TNF100 prep. We had a good weekend up there and it was nice to have a relaxed run to the river and back, we managed to see a number of people out for a Fat Arse run on the course too. 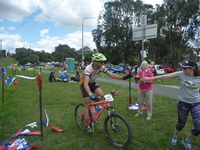 My gallery from my Blue Mountains weekend in Feb 2014 is online here, thanks for the company Jane, hope to see you back on the trails soon. Alex and I had been thinking we should head up to near Jagungal and check out some of the trails through the wilderness there to ensure bikes could get through. This to ensure our planned route through for the next Canberra to Kosci Ride would work better than the previous one. 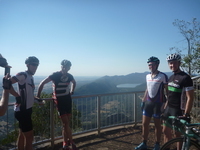 We decided to do a new years eve mtb ride on our single speeds in the wilderness around Mt Jagungal (the northern most mountain in Australia over 2000 metres). David and Julie came along for the fun, though I did not have my camera I was able to get my phone out easily through the day and get some good photos. They are all online in my Happy Jacks Jagungal Ride Album. Nice day out and and awesome way to finish off the year even though we arrived back in canberra tired and ready for sleep around midnight. As I say i the write up, late in 2012 Alex, Lib and I started plotting a week of cycling in Victoria. Inspired to some extent by a cycling tips article, we added in mtb riding to the plan and decided to ask Bleeksie, Brooke and Aaron along for the fun. 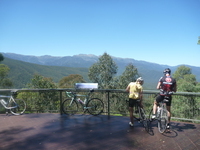 We klicked it off with the Otway Odyssey mtb race and then did a bunch of awwesome mtb and road rides aorund the state. I was rather impressed with the grampians having never been there. Such a great week on bikes. 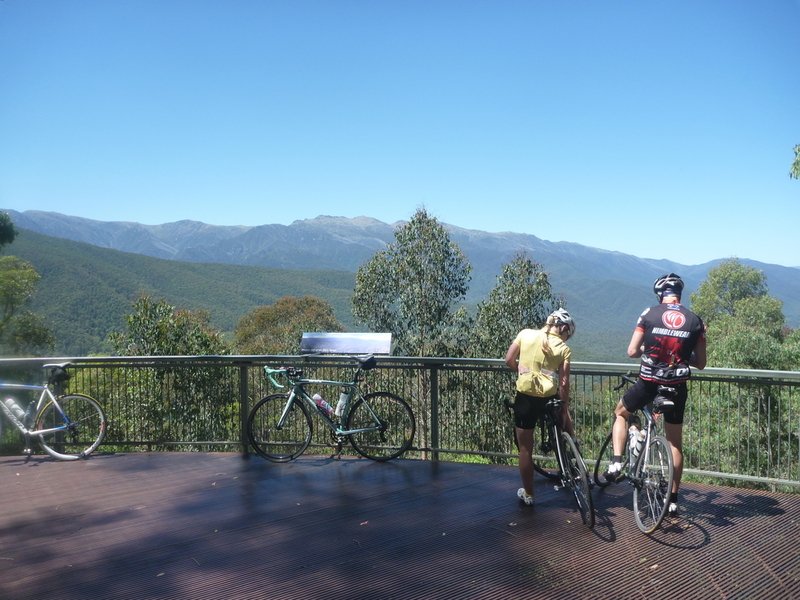 Photos and a few words from the trip are online in the gallery Victorian Epic Cycling Holiday February 2013. Now we just need to work out the next such trip. 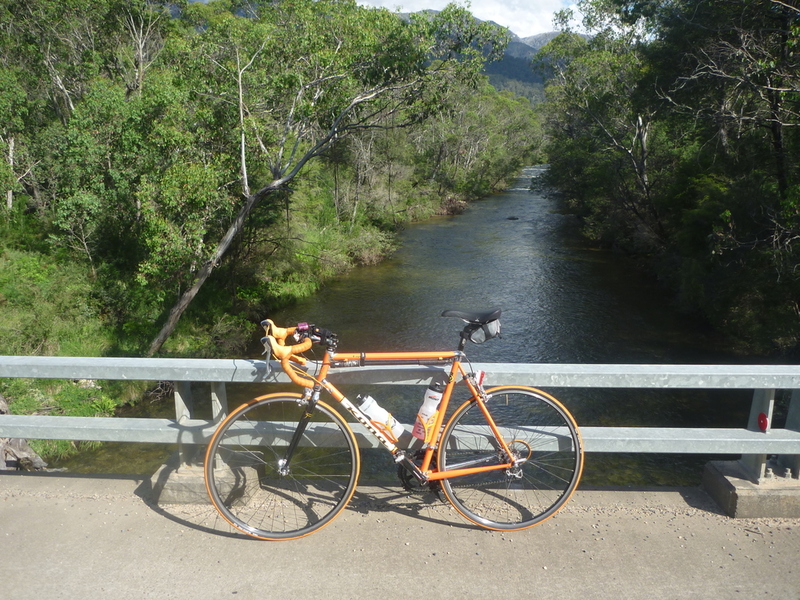 I suspect a south east Queensland cycling trip could be the go for some time in the future. I know there is a bunch of great riding up there. The previous ARNuts canyoning trip had been based on Mark's birthday, this time we all got up there to celebrate Alex's birthday. Another fun day out in the Blue Mountains with the ARNuts. 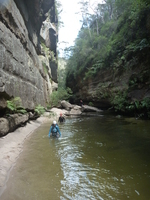 My photos from the day are on my Whungee Wheengee Canyoning page. I should not find it so amusing but I do that when the guides end up with a group of people who have fun in long AR events or 100KM runs and similar it seems to be a bit of a shock to them as they are used to clients that struggle with the hikes and harder bits rather than clients who are fitter than most people and simply get on with the harder bits having more fun the harder it gets. This was the first year Sri Chinmoy had run this Ultra, an event now in the third year (and I again ran it this year in a team and once more doing 2 legs). 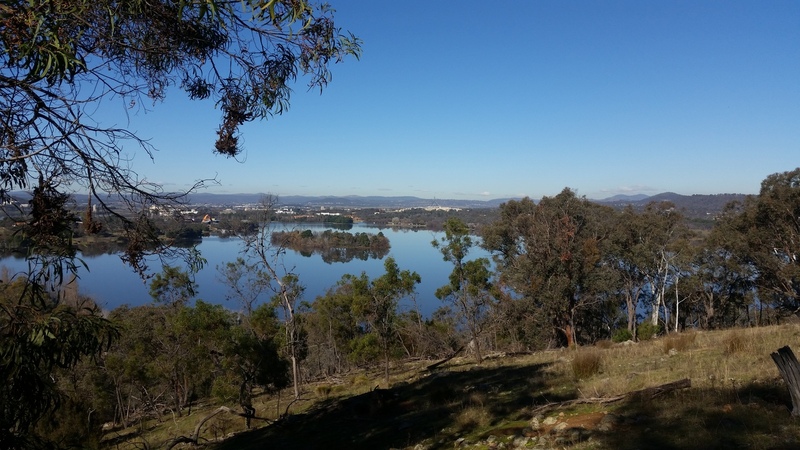 In 2013 they had not yet decided on the increase by 1km every year plan, however the course already showed off Canberra really well. Alex and I decided to Alternate legs, in retrospect probably harder than doing 2 in a row each, however we had a good day out, and this year I got to do 2 in a row to compare. Of course I had my camera out there and took a bunch of photos which are online in my Sri Chinmoy 100 2013 gallery. As I so often say, this is one of the best days of road riding you can have, an awesome ride through varied terrain with lots of climbing and mountains. It had been snowing at Dead Horse a few days earlier and was cold in the morning and again in the evening. 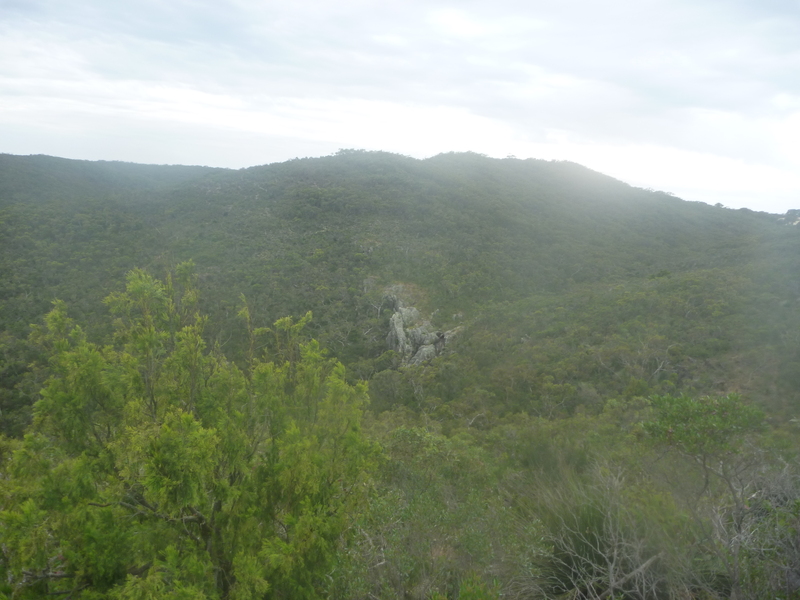 I left some of my warm clothing at the cars at Cabramurra and ended up regretting it as I had cooled down at Dead Horse Gap too much to keep going by the time Cam got to the top of the climb. 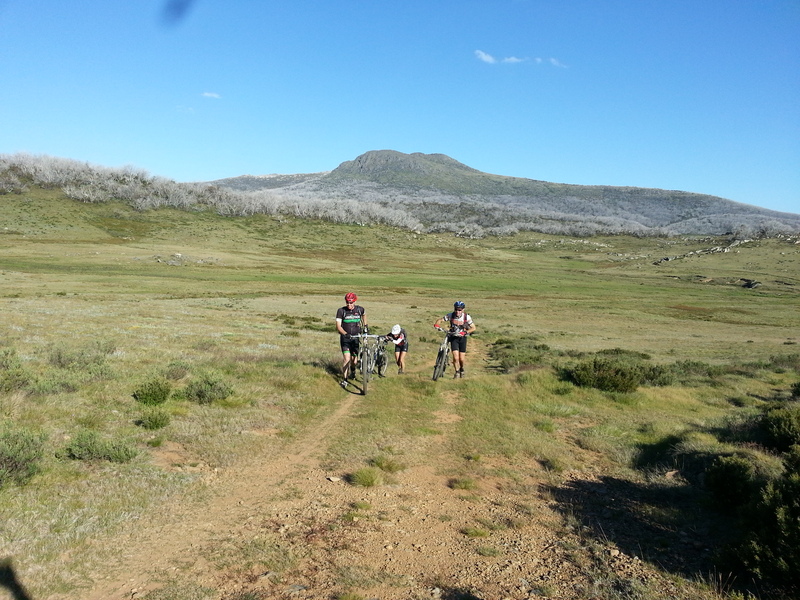 So I hopped in the car for the descent to Jindabyne while Cam finished off the ride. The others had all kept going earlier to finish off the ride. Still As I mention looking forward (though somewhat scared) to this year's day out. The photos and a few words from 2013 are on my Around The K 2013 gallery. I lined up for my first run at the Six Foot track Marathon in 2014. 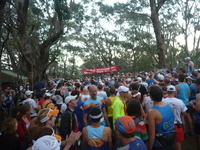 Many ACTRun friends have been doing it for years, this year I managed to get in and was lining up with them and other friends new to the race to have a run along the track to Jenolan Caves. 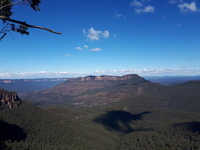 Jane and I had spent a weekend in the Blue Mountains ini the lead up to the race to get an idea about the run down to Coxs river and also for me to scope out the finishing stairs in the new TNF100 course. It was useful to scope out the first 15km of Six Foot, however come race day things were different (a lot more runners out for one). As is so often the case I went out too fast and paid the price on the climb from the river and along the range. However it was still a great day out and I will be back for more (I did it in 2015, knocking half an hour off my time and plan to line up again in 2016). My gallery and a few words from the day are here in my Six Foot Track Marathon 2014 gallery. I was up near Macksville for a family trip and had some time spare one morning. 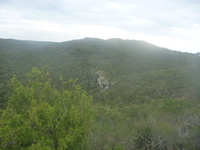 I decided it would be good to head out for a run in the Yarriabini national park area. 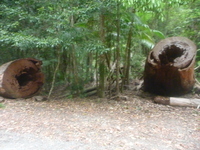 In 2006 Geoquest we had done a hike a bike up the side of Mt Yarahapinni and then a ride and split rogaine through the park. I wanted to head in and check out some of the region again. 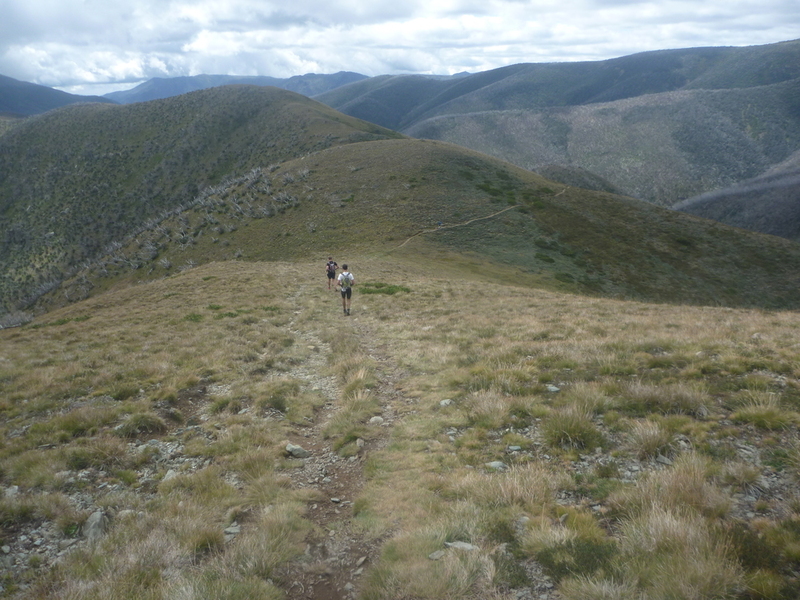 The most obvious run to do was an out and back along Way Way Creek to the summit and back. With more time it would be fun to explore more. However it was a nice morning out and as I mention would be a pretty awesome half marathon course if it could be organised. 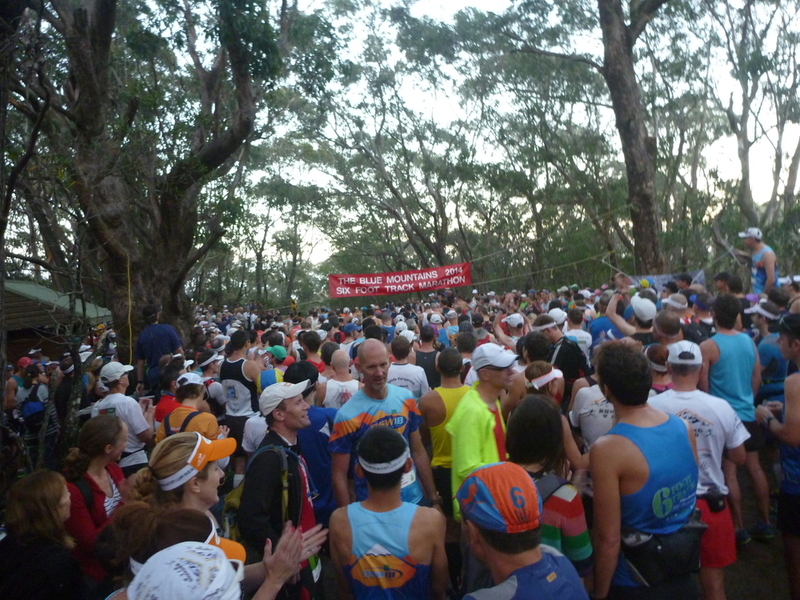 Photos from my Mt Yarahapinni Run are online here. As I mention in the write up a few friends and I had decided to head to Kepler Challenge in 2014. Marty heading back to defend his title, David, Julie, Bec and I heading over for our first attempts, Chris rocking up for the Luxmore Grunt. Fiordland is an amazing part of New Zealand, this in a country chock full of amazing outdoor places really was something special. I understand why this event is so popular also why the walk itself it so popular. We all had a great time there and though the trip was short it is definitely one to go back for some time. 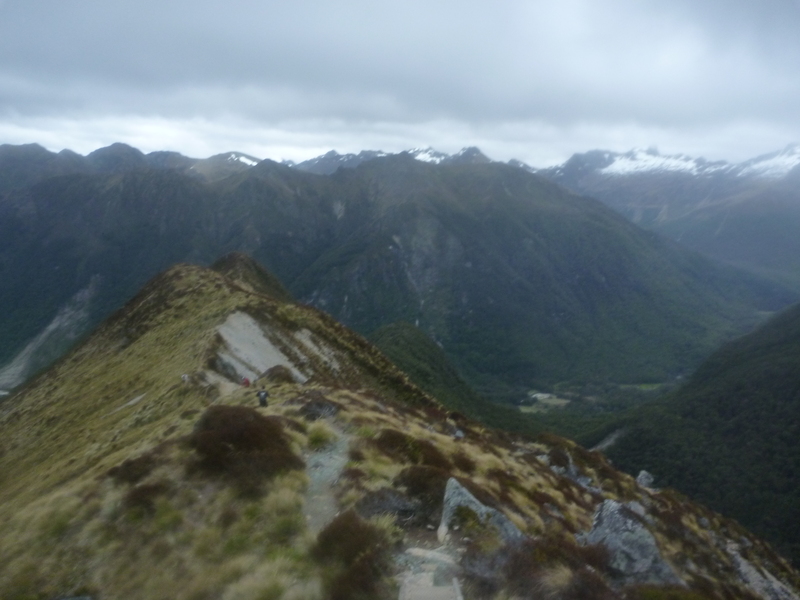 Of course I had my camera with me and took photos so have some words with them in my 2014 Kepler Challenge write up. Thanks to Dave, Julie, Marty, Bec, Pete and Chris for the company. I hope to head back and do it faster in the future, fun indeed. We had a pretty solid group doing the whole loop Jindabyne to Jindabyne anti clockwise. The others we split into two groups of around 6 or so each and managed a car swap as we crossed paths (at lunch at Khancoban). Due to doing too much running and not enough cycling, and my trip to NZ for Kepler the previous week, I decided to do the shorter ride this year. Photos and words from Around the K 2014 are online. Fun was had, now it is just over a month until the 2015 one so I need to get on my bike and get ready for it. This event was not in my original plan for 2015, though nursing a bit of a problem with my right aductor and glute I was feeling alright after six foot to do some big stuff. 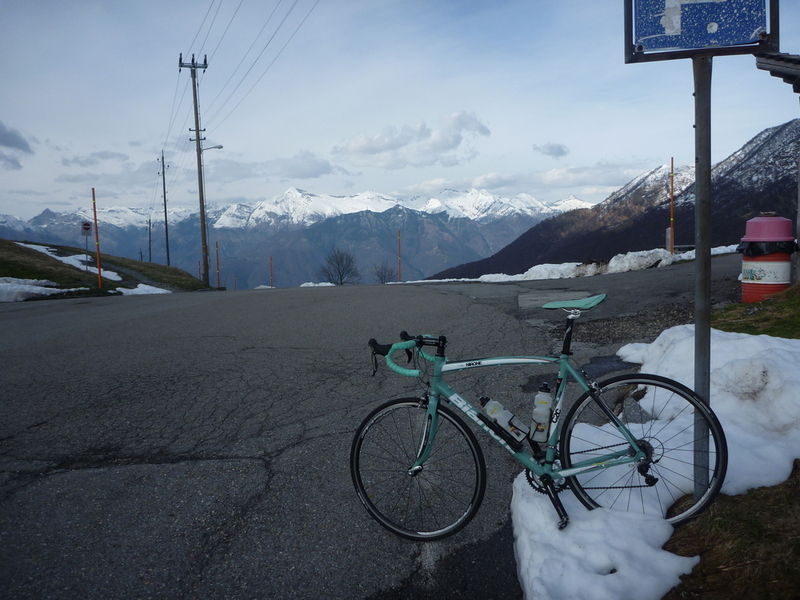 This turned out to be a tough day out, the incredible steep gradients on the first two climbs (and also on the way back the last two climbs and thus the descents on the other side) were something to behold. That we did over 1000m of climbing in the first 10km of running, including 4km of flat at the start and a descent to the bottom of a 500m valley in the middle says something. This event lived up to the SkyRace tag really well. Also the victorian alpine region is amazingly pretty and Bright is a great town to hang around in. Photos and a few words from my day out are here on my Buffalo Stampede 2015 page. 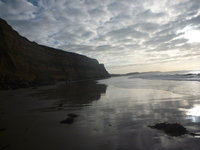 Thanks to Paul for his entry and to Dave, Julie and Alex for the company. It was fun to catch up with Hanny and Graham down there too. I had a break from doing Geo for 2 years, I guess I got a bit hooked on running and was not keen to try to get a team happening for the event. It almost happened again, however some of the team members in Thats Cray were injured so Cam and I both got an invite to join in the fun. Geo s always a good event and this year I really enjoyed just joining in for the fun and letting the others worry about Nav and a bunch of other stuff. 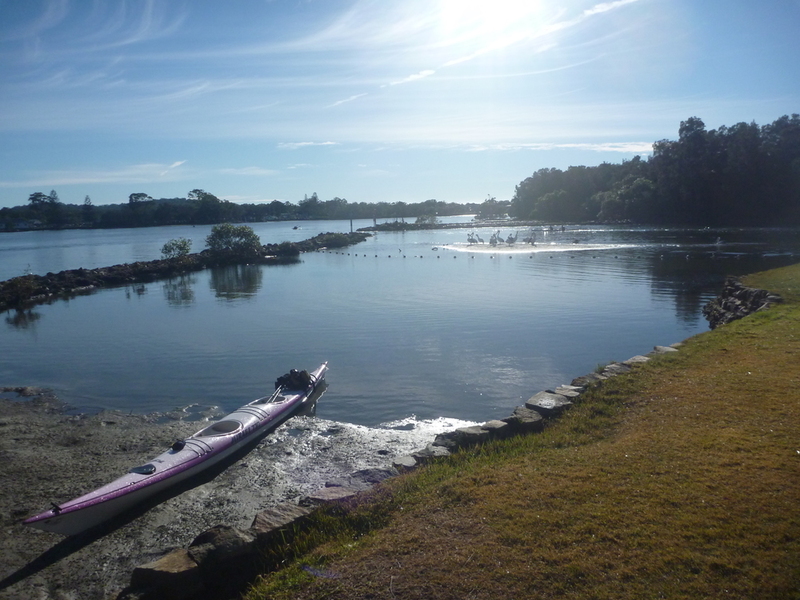 I have to admit the lack of paddling in the last 2 years made that bit hard, however the event was a lot of fun as always and surprisingly felt pretty good all the way through. Maybe my running fitness helped me get through comfortably. Photos and some words from the race are online on my Geoquest 2015 album. 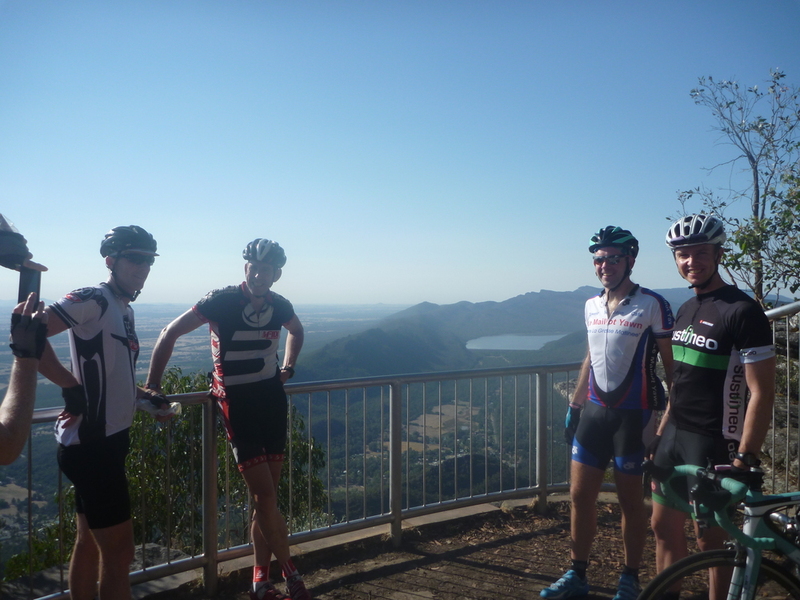 Thanks to Dane, Lee and Cam for the company, thanks to the awesome support crew and it was good to be back. I really enjoy Sri Chinmoy events, their attitude and encouragement for people to be healthy and active to have a better life and world through peace and those goals. Given a choice I try to do most of the long or multi sport Sri Chinmoy events. I had run in this event in pairs with Alex in the first year, alternating legs that year. So we got to join in the fun and run with many of our friends and other people on the day. 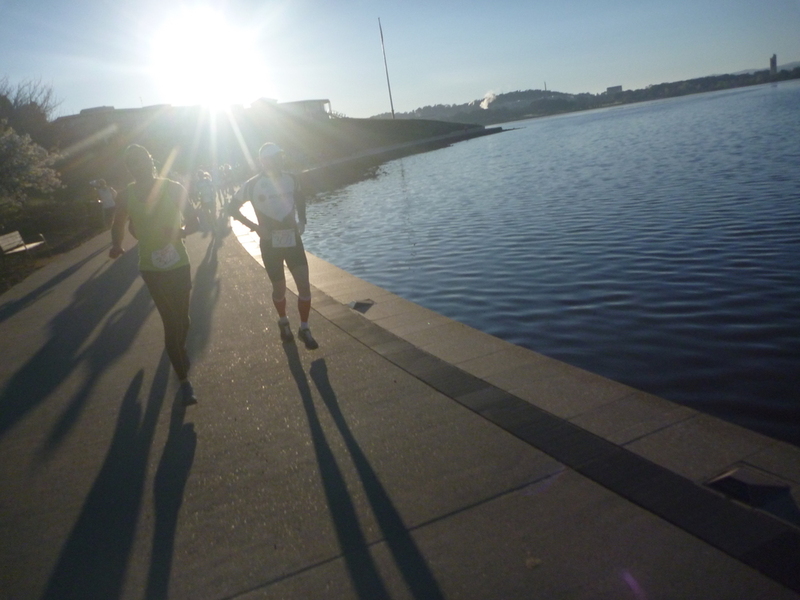 I took some photos and they are online in my Sri Chinmoy Trail Ultra 2015 album. I really have been taking a huge break from putting stuff online here. I have still been taking many photos while out doing fun stuff so even if I am not writing much else (I have been sucked into social media I guess) I can still upload the links to the various adventures I have photos and reports from. The main advantage I find is I at least can easily find the links to refer to without needing to see a directory listing on the website. 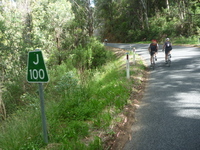 In this case I headed down to Adelaide to hang out with friends there and also run in the Heysen 105 run. Feeling the need to do another 100km ultra this year and the short holiday in Adelaide helped attract me to this one. 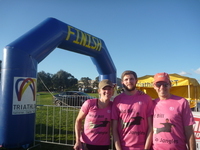 Report and photos for my Heysen 105 2015 run are online. Nice part of the world and I had fun both in the event and hanging out with friends in Adelaide. The coopers brewery tour is also rather excellent. 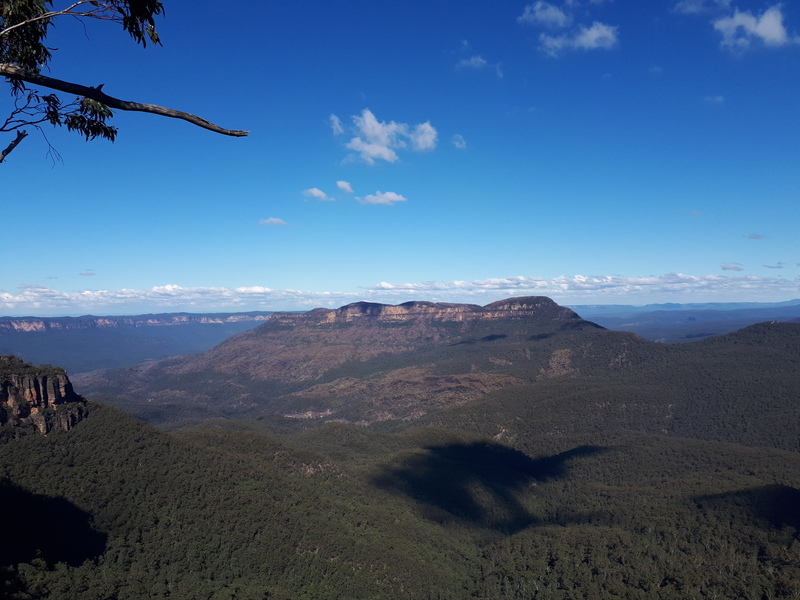 Earlier this year I competed in The North Face 100 km run in the Blue Mountains, it has a fairly large amount of climbing (over 4000 metres) and though it is remarkably pretty it is a tough day out. 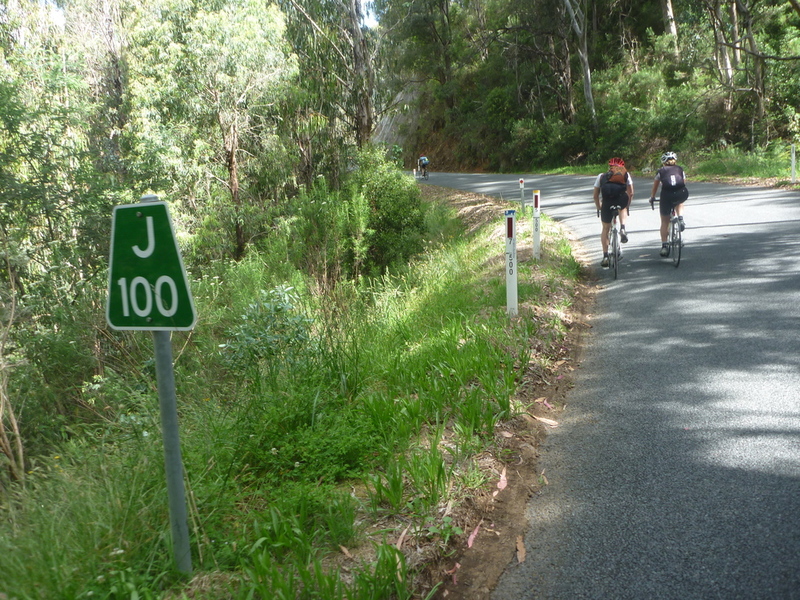 When a friend suggested doing the Surf Coast Century I thought why the heck not, less than half the climbing and I have never spent much time in this part of Victoria. 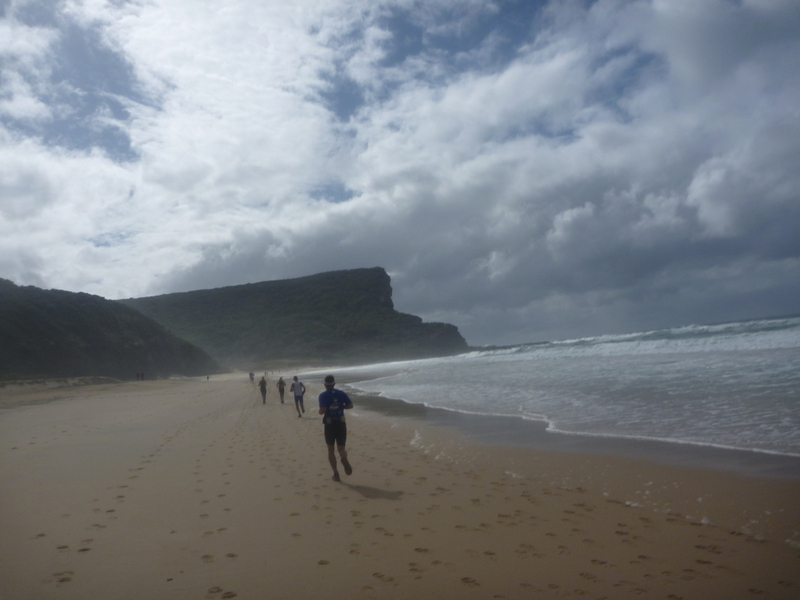 I had the opportunity to run in the Coastal Classic two weeks ago, Max Adventure do a great event here by getting access to the coastal walking track for this run and I recommend a visit to this track by anyone looking for a great coastal walk or run. Report and photos are online. It was a really pretty run and I had never been along the track so it was a great day out. May again, almost a year since I posted anything here pretty much. Oops. I have been doing stuff and taking photos so really they should be easy posts that do not require me to think much. This one for example, I ran in The North Face 100 recently. Report and photos are online. Strangely I will probably be back next year. I have not been putting photos and links up on my diary from rides and stuff happening in the past year or so much. I really should get back on to doing that. It has made it hard to find the reports when I want to find them. A group of us planned to try the ride to Kosci in two days again, like we tried in 2010. We had a bit of a route change this time and a larger group of riders. With two groups of riders and a bit of route confusion at some points we got through the first day pretty well and relaxed into the overnight camp at 3 mile dam again. Day 2 was likely to be harder but more straight forward. 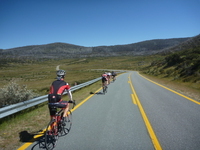 We made it through almost to Guthega but ran out of time to ride up to Charlotte Pass and on to Rawsons for the walk to the summit. The ride is spectacular and has reminded me I should get up to the snow on XC skis again for some more time in the mountains in winter in these areas. I also think if I try this ride again I will ride a bike with gears, the single speed was somewhat challenging often. Photos and more words here. More bike themed stuff, today I received a birthday gift from some friends that really got me remembering some of the awesome mtb memories over the years. They gave me the Hans Rey 25 years or riding adventures book (it can be seen at the top of this page currently) which is an amazing book and I really love being reminded about many of the Hans Rey things I have seen/read about/etc over the years. It does not feature a mention of his visit to Canberra (I remember it was on the news here) and his subsequent visit to the national champs at Thredbo back in the 90s. It probably was not fascinating enough to have photos of him riding over tables in Weston park in the book. However he is definitely a rider that has featured heavily in my mountain bike world view since I got into mountain biking in 1992. It is really cool to see stuff these days with videos of Hans, MacAskill and Peat doing rides (multiple generations of awesome rider in one ride). The easy availability of video now opens up a lot of great riding scenery and riders to be easily viewed but the book makes me think back to earlier times. I was proud to own and ride a GT in the 90s and a big part of the reason was I was a huge fan of Juli Furtado (she made me want to own a Xixang, and I just found a recent Juli Furtado interview on Bikeradar I somehow missed in 2009) and of course Hans Rey influenced my love of the brand. Other riders back then (as an impressionable teen) definitely had a big influence on me. Tomac influenced all mountain bikers in the 90s, Indurain also featured heavily (though I never got in to road riding myself in the 90s, I followed the tour pretty religiously from 1992 onward). Since I was volunteering at Majura when Cadel won National MTB Championships there I have been a fan of him, and of course now days I am a huge fan of Marianne Vos. I guess if I keep thinking about it I can probably pinpoint more riders over the years. I really like O'Grady and it goes without saying I am a Jens Voigt fan (are any cyclists not fans of Jens?). Though I suspect I am showing my cycling age pointing out how heavily the likes of Furtado and the Hans Rey of the early 90s influenced me. Still lots of fun to look back. I seem to be sticking to riding related stuff again, big surprise. I have been reading a rather awesome book Ben L loaned to me. Teaching Mountain Bike Skills by Lee McCormack. It really is an excellent book, helps back up a lot of the things I recall learning when I did my first level PMBI qualification. However it also has some great new tips and ideas. All of this again gets me thinking of ways people can and can not improve their bike handling skills. Talking with Ben about it there are a few interesting things to think about. Practice is awesome, however practicing bad skills is not (Lee points this out quote a bit). Many people get to a certain level of ability to ride stuff and then simply stop trying assuming they are good enough. However we can all get better (ask professional downhillers, they will be the first to admit this). When I used to ski a lot I tended to always try to have at least 1 week of lessons every year up at the snow as it all helps. The weird thing is now I do not go out of my way to get mountain bike skills training myself, I think I really should look into this. Another point Ben makes well is sessioning things helps you improve, if you practice getting better and better on something a lot there should be a benefit. Do not simply go for a long mountain bike ride, instead head out and repeat sections of Pork Barrel or Double Dissolution, try different lines, corners, speeds, and everything. Also maybe time yourself doing stuff. The next point is pump tracks also help a lot, if you have one near you make use of it, head out and spend half an hour riding around it. You have a concentrated set of repeatable corners and bumps and things to do and you can hone your skills a lot doing this. When I was at a conference in Ballarat early this year I visited a friend of a friend's place for a bbq and they have a pump track. We had a great time playing on that. 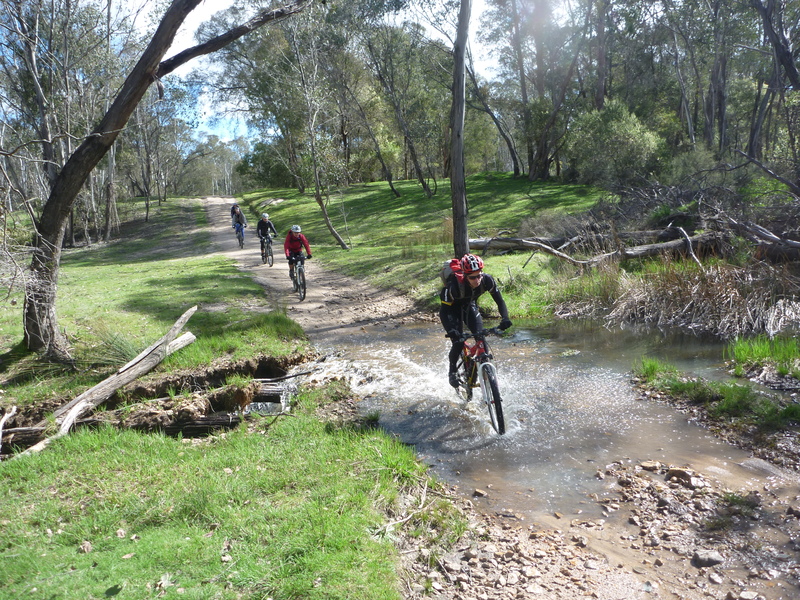 There are some fantastic pump tracks in public places in Canberra too (Gungahlin and Queanbeyan both come to mind). Learning good skills means trying to repeat things that are faster and smoother, and it also helps following good riders when they are working on smooth and fast. The other thing is to simply have fun on the bike, the more fun you have the more you want to be out there. Though better skills defintiely increase the fun. I really need to read the rest of Lee McCormack's books now too. Who would have thought, doing some long rides before stepping up to a really long hilly ride does help get you through it. Though I would like to think it is mostly the awesome bike that did it (it is all about the bike after all I hear). 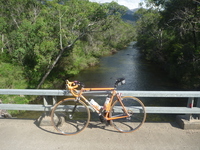 I made it around the loop this time, 320km, 6500m of climbing. Not as impressive as Chris with his extra 80km and extra 700m of climbing, but I am not as impressive as Chris anyway so no big surprise. The photos from the day are at the normal sort of place. Around the K in a day 2012, one of the most fun and interesting road rides in Australia. Or as Beth said after finishing the day "The most epic, spectacular and amazing ride I have ever done". Alex has said from time to time how much he loves this ride, it was a shame he was unable to come along. We will probably head back this time next year anyway, a good annual ride to do. 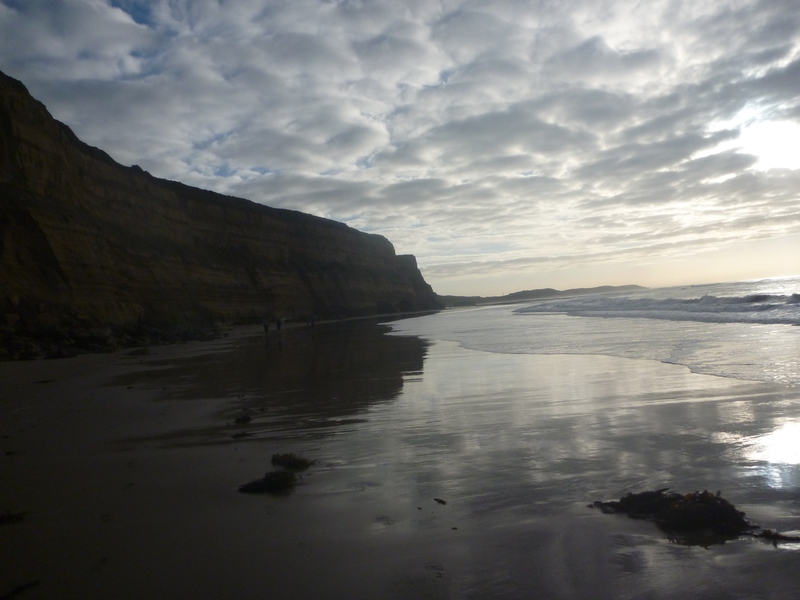 In the image to the left I used the photo I took on Saturday from the same place as the one I used last year (two entries down in the diary). However image wise one I like is the three from Geehi over the years. 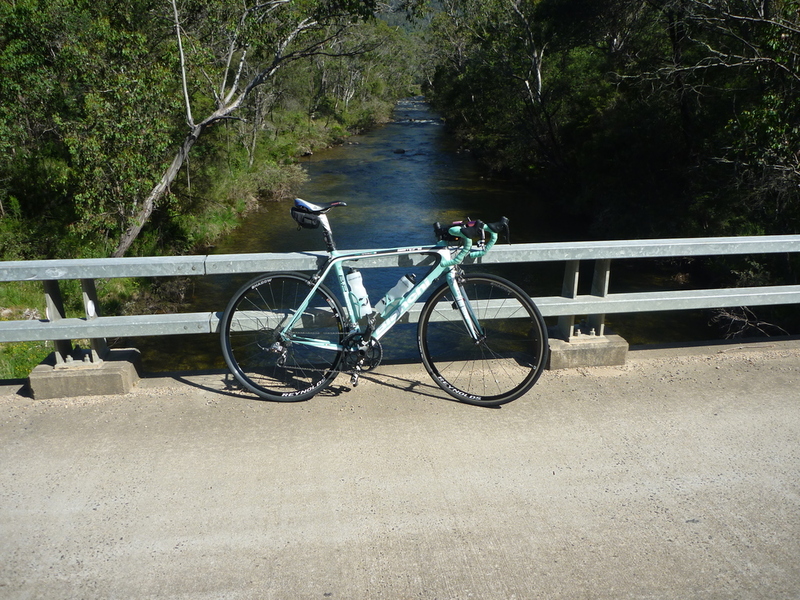 I think these three photos show a nice evolution of bikes I used on this ride all from the same lovely river crossing at Geehi. Though I suspect Nathan and Bleeksie wondered what the heck I was doing when I pulled up to a stop there for no apparent reason on Saturday. On another note, I commented on this in a photo comment, however Ed joined in the fun for the ride, Andrew H on the other hand went to a wedding (well okay he cycled up to the top at Thredbo too), who will be sledging who for being soft this week I wonder? Though Andrew may have gotten sick of the faffing at the first cafe stop and headed off on a solo mission sooner than Ed, so maybe he needs to do this ride by himself? Yesterday a few of us were out once more doing the Round the K ride, I took photos again and will post here when I have uploaded them tomorrow sometime. (also I am sure there is a bunch of other stuff to start putting her again from this year). During rides like this I again begin to think of scale and how we have a different perspective to many people. On this weekend my friend David was once more competing in Coast 2 Kosci (I crewed for him last time in 2010), which is a 246km run from the beach up to the top of Australia. While he was out running Chris, Nathan, Aaron, Beth, Seb, Bleeksie, Ed, Matt, Roland, Paul and I set out to do a 320km road ride with 6500m of climbing. To most of the population both these activities sound insane and crazy, even people who exercise a fair bit will think we are all loonies when they hear about some of the activities we get up to. However as Beth said when interviewed for an article about endurance mountain bike racing recently, it really helps to be surrounded by like minded people. As many of us get most of our social life based around activities with the people doing them with us we all start to think it is kind of normal to be out having fun pushing our bodies for extended periods on weekends. Often many of us forget how little of this sort of endurance exercise the rest of the population gets up to. Aaron has a great t-shirt with the slogan "Hills Hurt, Couches Kill". It would be awesome if the population at large could get that stuck in their heads, no need for epic endurance efforts like we do, however the obesity problems in western society and the rising health costs due to inactivity are costing us all. Of course the more people that get fit (if it happens) the smaller the gap between normal forms of exercise for us will be. Convince your less active friends to go have fun outdoors! Though I have previously been calling this the SLER loop/ride that does not make much sense as that was only what we called it on the 2004 attempt. The moniker a few people have been using recently makes a lot more sense. Around the K in a day. The course is 320 km on road with 6500 metres of climbing (and descending) spread around the loop. 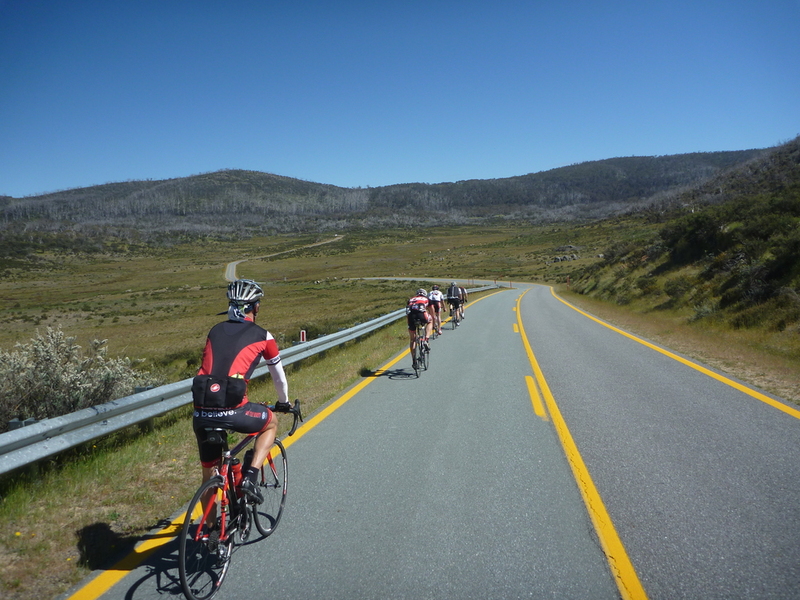 Some of the best scenery in the Australian alpine region that is easily accessible and a fantastic day out on bikes. We did it last time in Feb though my diary entries for it were a bit later. It seems the standard timing for us these days is to get around with a 5:15am start and finishing around 9 to 9:15pm. 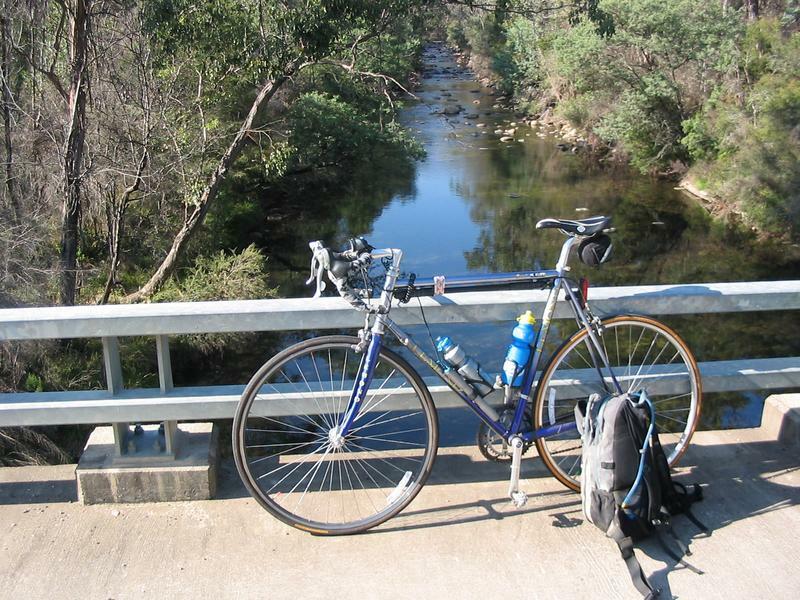 This time we had two half hour stops for food (Adaminaby and Khancoban), a shorter stop at Cabramurra and a few water refills from mountain streams. I still did not make it this time around, I did feel I was able to however was riding a lot slower than the others on the hills. 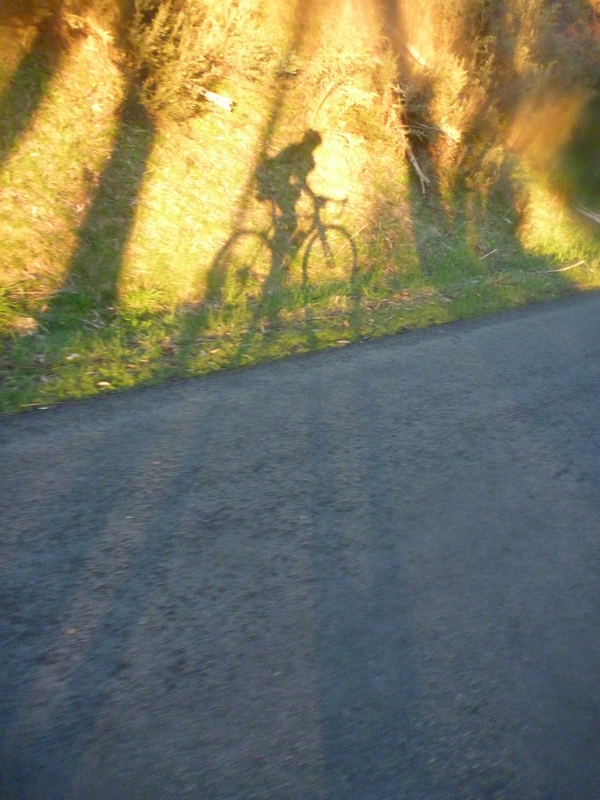 With a 20km climb to go before rolling mostly downhill to Jindabyne we managed to find a lift for me up the hill so the others did not feel bad leaving me behind as it got dark. 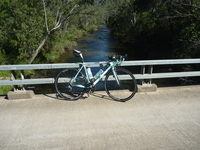 Still a wonderful day out on bikes and I am keen to try again. Looks like we may try again on Feb 18, or Feb 25th (though I think I would prefer 18th if everyone can manage that weekend). Anyway all the photos I took are online, fun was had. I know it has been a few weeks, however I have not exactly been on a blogging rampage, what with having my first ever month of no entries here. However I should start writing again and this is something of note for sure. How exciting it is that Cadel Evans won the tour! I have been a fan of Cadel for a while, I guess since reading mtb magazines through out the 90s and marshaling at the mtb National Championship races in Majura Pines in Canberra when he won the title here. That he won the MTB World Cup series for two years in a row, has also won the Road World Cup series two years running, won the Road World Champs and now the Tour de France it is fairly obvious to all he is the most complete successful cyclist Australia has ever produced. I still remember watching him lead through some of the single track at Majura in 1997 from where I was marshaling, seeming to be riding on smooth pavement through sections I rattle and bounce over, sure it was a shame when he left mountain biking, I am after all a mountain biker at heart, but there were as we all know bigger achievements in his future, there is nothing in the mtb world that could possibly excite a nation the way he has the last few years. For the entire tour this year Cadel and his team seemed to be well organised, know what they were doing and went about everything the right way. Leopard also dealt with the race well, thus as Andy Schleck has said it definitely seems the best rider did indeed win this year. The final time trial was an incredible hour of viewing, seeing Cadel so focused and confidant at the start and then he almost won the stage and blasted away everyone else. Of course seeing him get air on a time trial bike was pretty cool too. I really hope this helps move Australian's recognition of bikes and cycling forward, the reception for Cadel in Melbourne on Friday was awesome, with St Kilda rd lined 5 deep on each side all the way along and then Federation square packed so full along with all of us watching who did not make it down. The media coverage across the board has been positive and pretty good. Now we can all hope for a repeat performance next year. Rock on Cadel. There is an article in the Canberra Times today referring to a Melbourne study on some endurance cyclists measuring glycogen storage in muscles when caffeine is consumed immediately after a ride until exhaustion session. The professor in charge of the study at RMIT is John Hawley, a google search turned up the article in question. It is quite a common practice among cyclists to head to a coffee shop after a ride, though most of us do not consume 6 cups of coffee and a loaf of bread, we do consume some food and coffee at these gatherings fairly often. Good to see we can even claim the post ride coffee is part of our important training schedule and recovery plan. Okay so after sitting in meetings all weekend in preperation for lca I have not been out on the mtb or road bike all weekend and have to admit I could use a ride. It looks like the rain may be setled in for all of tomorrow now also which may stop me. Anyway I purchased a copy of the magazine Ausralian Mountain Bike, it appears my subscriptiuon ran out as it did not arrive at work the past few weeks, anyway I was told by a few friends in the past two weeks that this issue was kind of abysmal, I was hoping they would be wrong and all that, however I think this time I have to agree, the only articles I found interesting this issue were the columns by Jim Trail and TTfH (Tony Fathers), and to some extent this may simpy be because they are friends. I think the thing that turned me off in this issues was simply nothing grabbed my attention, most issues a least one or two stories/articles manage to look good and turn out to be good reading, I suppose I should try to quantify why this time nothing grabbedmy attention and usually something can, I think I will instead simply leave my brain on downtime tonight however.